In the West Harz lies one of the largest former mining regions in Europe, today the UNESCO World Heritage Site Mines of Rammelsberg, Historic Town of Goslar and Upper Harz Water Management System, which is spread over an area of around 200 square kilometres and includes one of the most important and largest pre-industrial energy supply systems worldwide. Already 800 years ago, water was the main source of power for the mining and smelting industry in the Upper Harz. 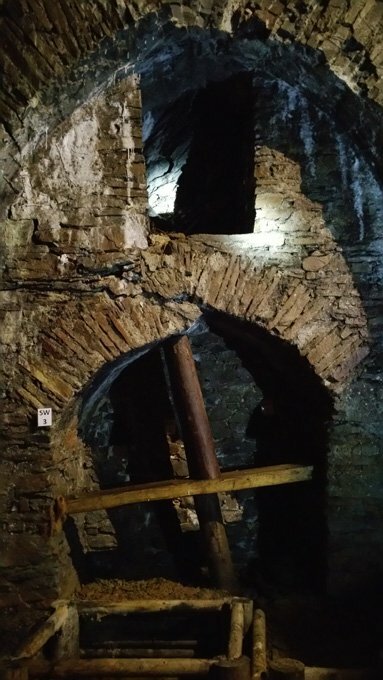 In the early 13th century the monks of Walkenried, as important owners of mines and smelting works, developed the first systems for supplying water to their own mining and pond installations, which the miners of the Harz continued to develop over the following centuries. The Cistercian monks of Walkenried can therefore be regarded as "the fathers of the Upper Harz Water Management System". at the same time, Walkenried's mining activities in the Upper Harz and at the Rammelsberg in Goslar. At the Rammelsberg, Walkenried was heavily involved with the realization of modern water management systems, probably from the second half of the 12th century onward; the monastery had a 25 percent share in the mines there and, together with the mining town of Goslar, was the most important mine operator for two centuries. A unique witness to the Walkenried monks as mine operators at the Rammelsberg is the waterwheel chamber from the 13th century known as the Feuergezäher Gewölbe, which is walled-out using an arched-vault technique and is located in the part of the Rammelsberg that previously belonged to the monastery. 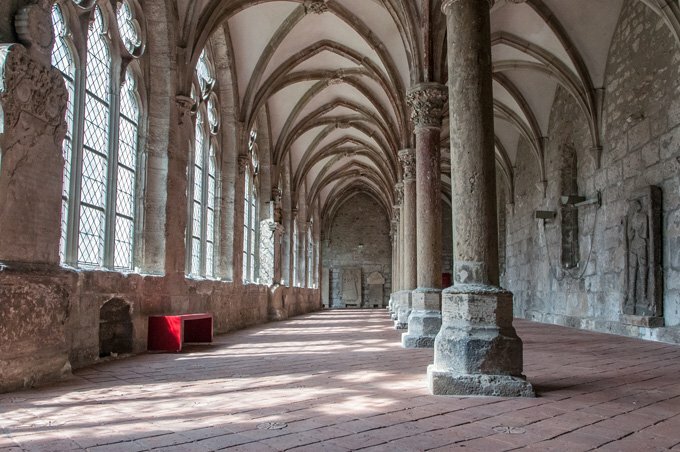 Another aspect that was decisive for the acceptance of the extensively preserved Gothic monastery complex into the UNESCO World Heritage was the outstanding special architectural form of the northern wing of the cloisters, which is "double-naved". With its exceptional artistic features and impression of space, with its sense of rhythm through the round columns, thereby flooded with light and characterized by its unmistakable hall-like character, it has been the architecturally unique feature and the "trademark" of Walkenried for many centuries. Today the World Heritage ensemble in the Harz includes freely accessible archaeological landscape features and former (industrial) installations – from the Auerhahn cascade of ponds through the Kaiser Wilhelm Shaft in Clausthal to the Gothic monastery buildings in Walkenried. In mid-2019 one of three World Heritage Centres under the management of the Stiftung Welterbe im Harz (Foundation for World Heritage in the Harz) will open in Walkenried.